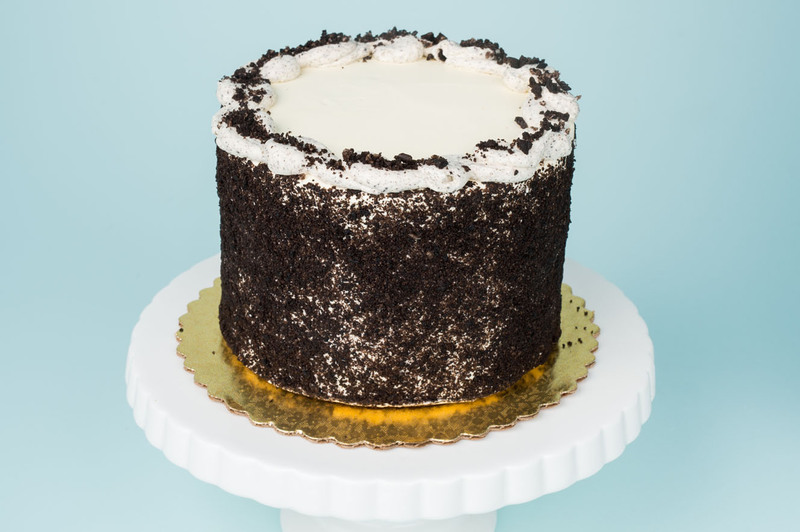 Vanilla cake with cookies baked into the batter with cookies and cream buttercream between the layers. 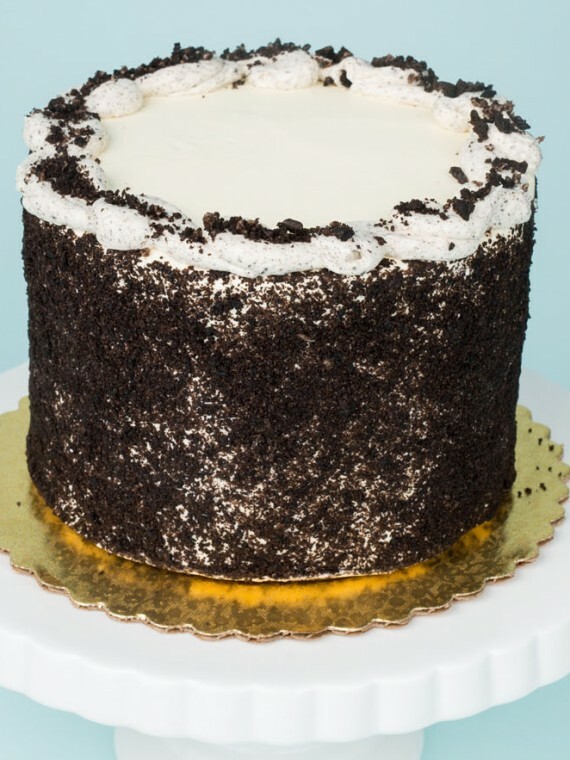 Iced with vanilla buttercream on the exterior and covered all over in cookie crumbs. 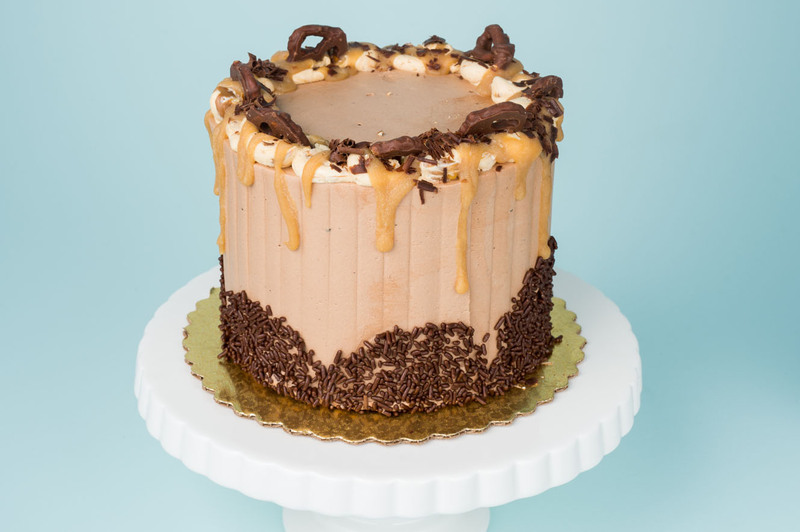 Rich layers of chocolate cake with caramel and chocolate buttercream icing between the layers in addition to our homemade caramel sauce and sprinkle of sea salt. 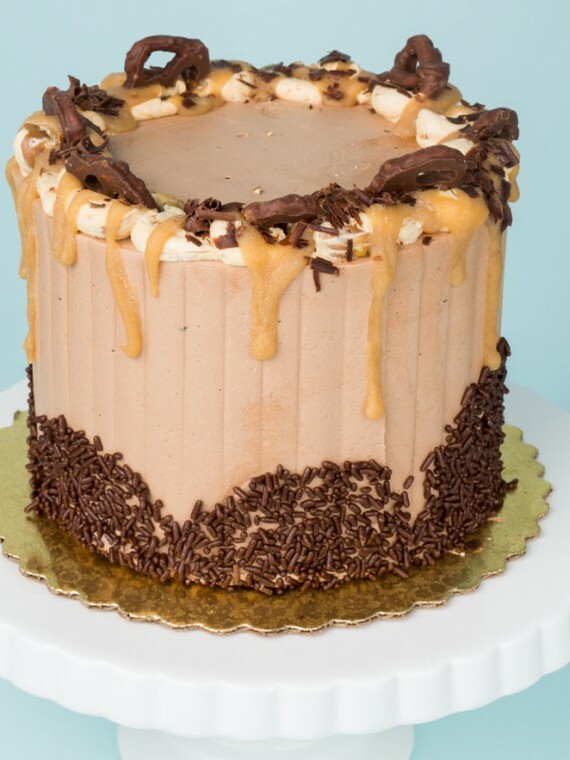 The exterior of the cake is covered with chocolate buttercream and then trimmed with caramel buttercream and finished off with chocolate covered pretzel trim. 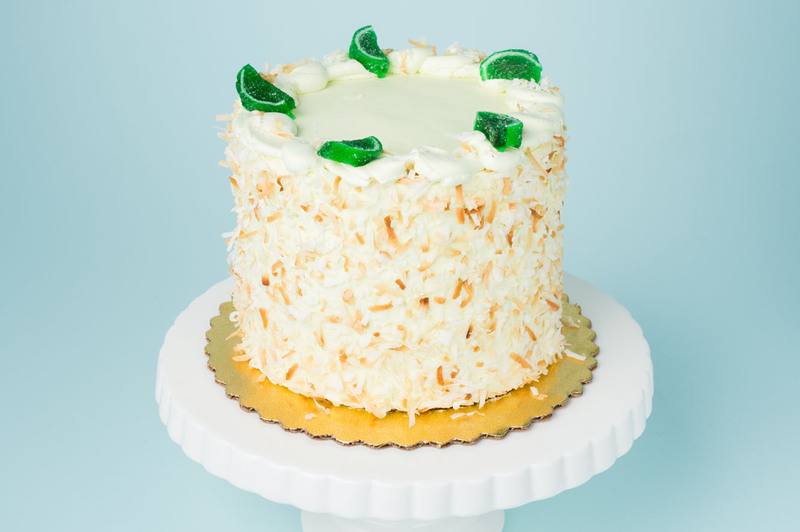 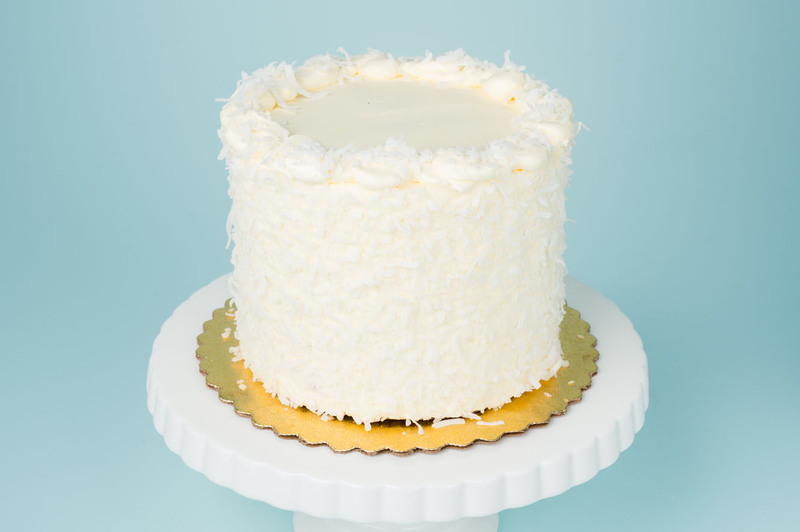 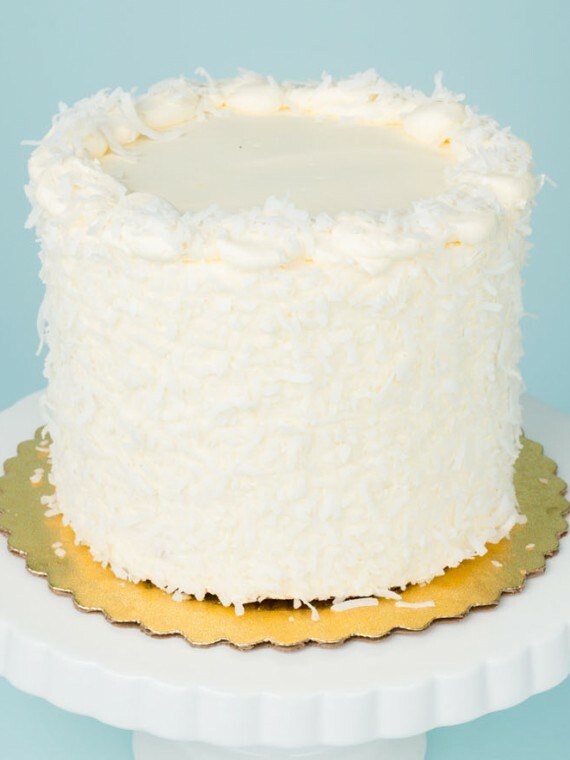 Coconut cake with key lime buttercream and tangy key lime curd between each layer. 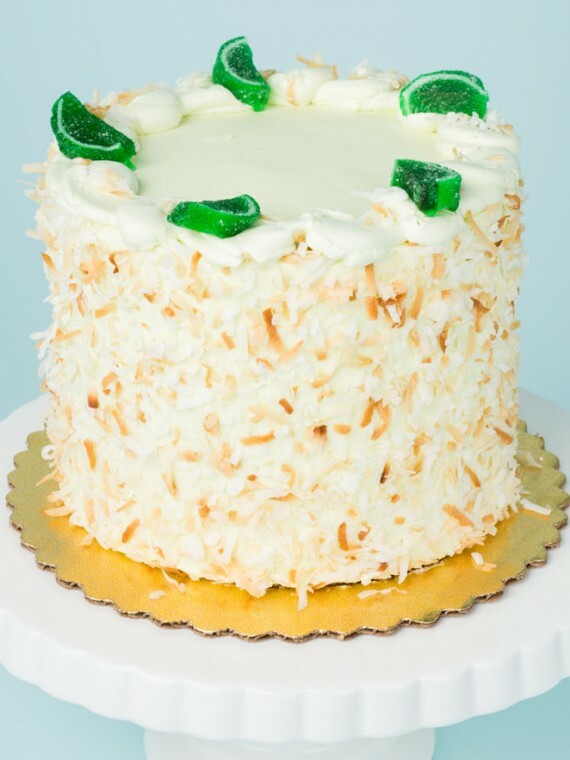 Finished off with toasted coconut all around the edges and candied lime slice trim. 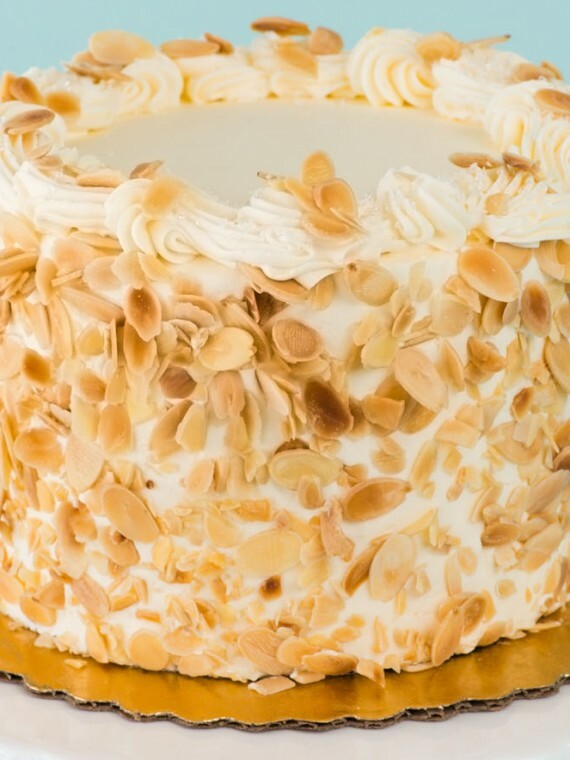 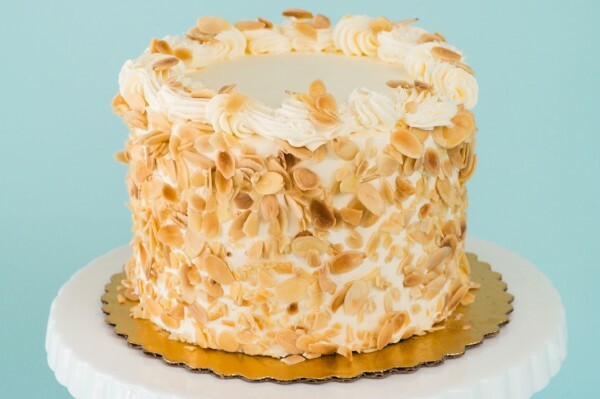 Moist Vanilla Bean Cake Filled and Iced with Almond Amaretto Buttercream and Trimed with Toasted Almonds around the outside. 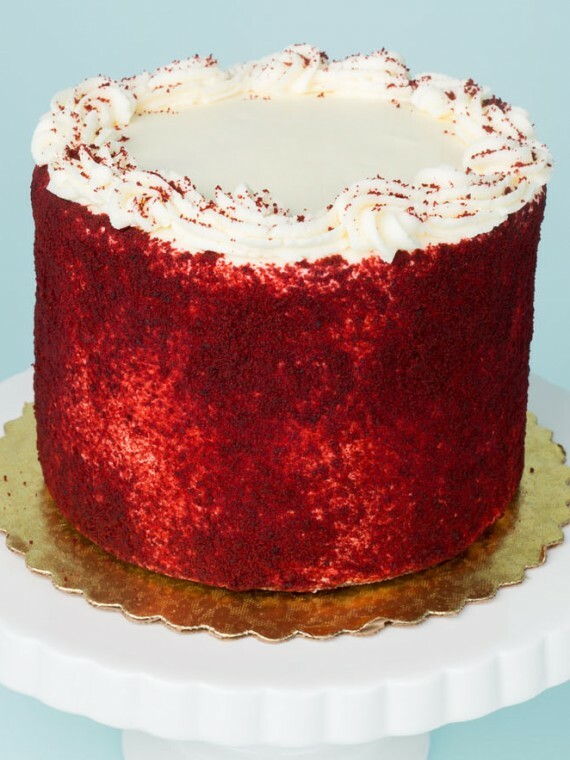 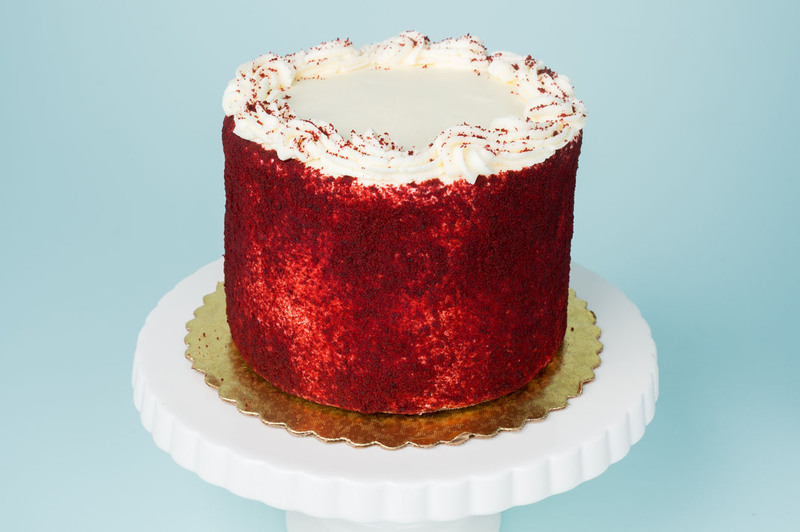 Moist Red Velvet Cake layered and Iced with Cream Cheese and trimmed Red Velvet Cake Crumbs. 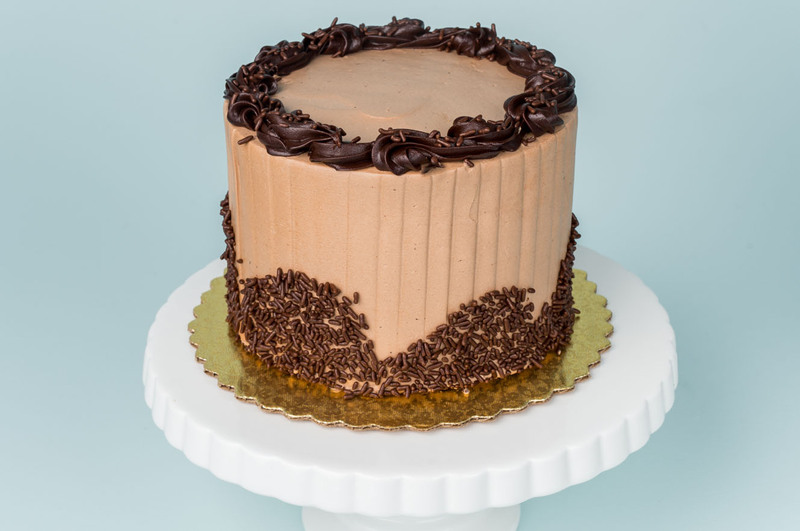 Rich chocolate cake layered with chocolate buttercream between the layers. 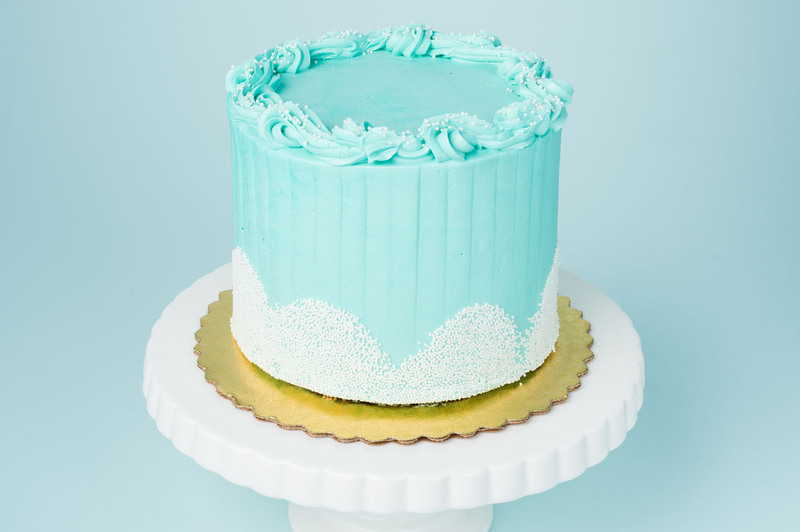 The exterior of the cake is covered in our signature blue tinted vanilla flavored buttercream. 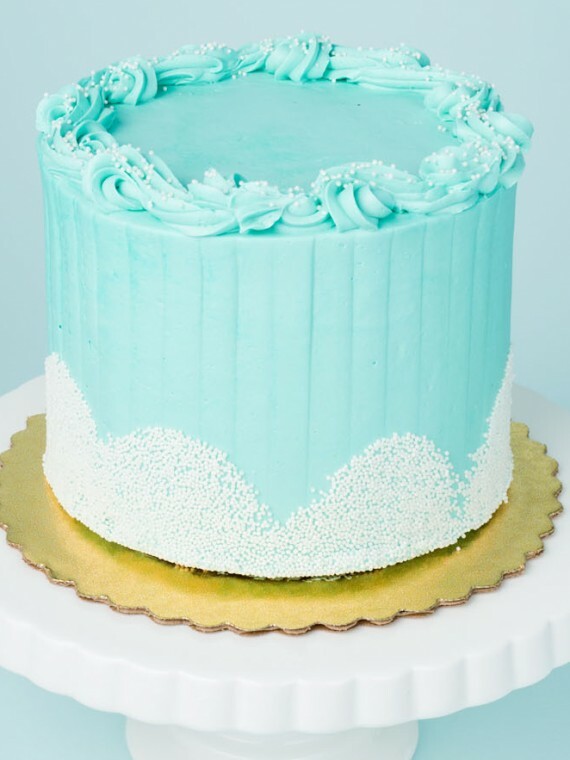 It beautiful and delicious! 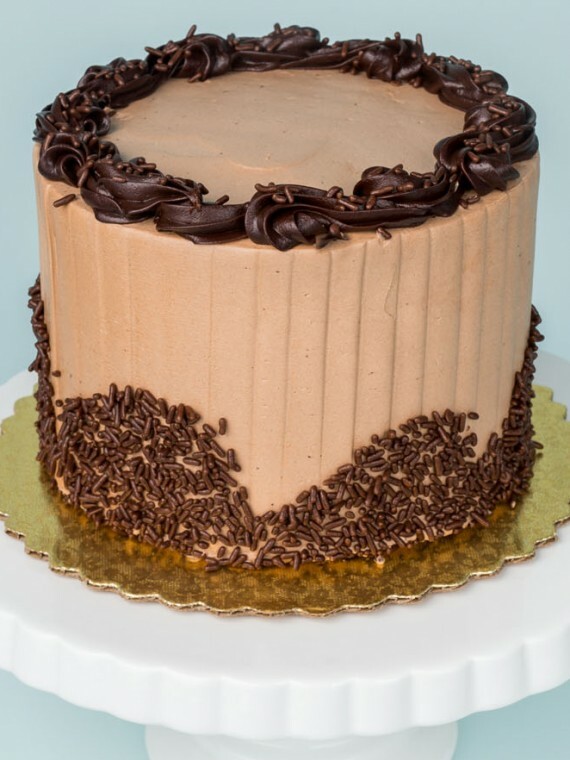 Dark Chocolate cake layered with fudge ganache filling and topped with our Chocolate Swiss buttercream icing. 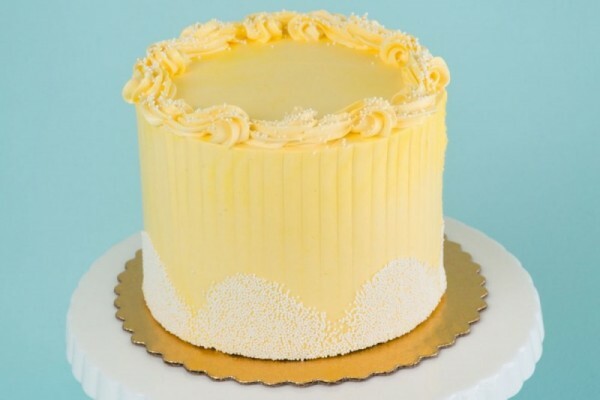 Vanilla cake with lemon buttercream and tangy lemon curd between each layer. 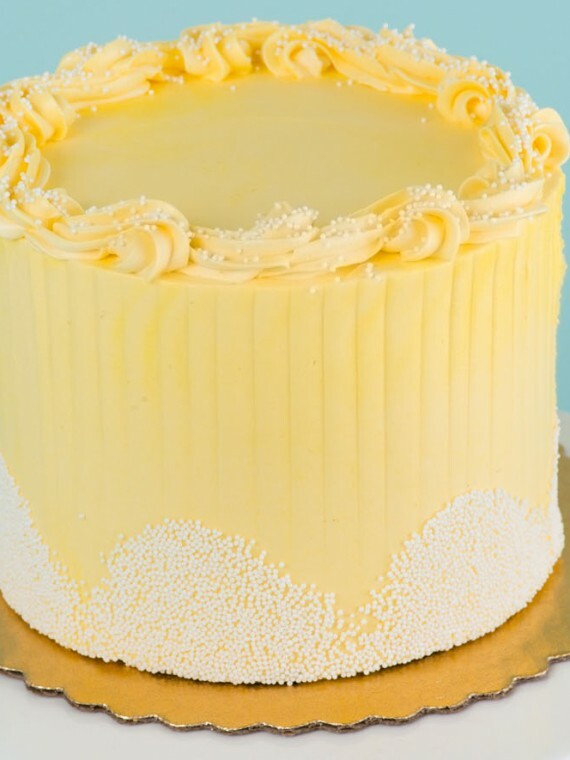 Iced with lemon buttercream on the exterior and trimmed with mini nonpareils. 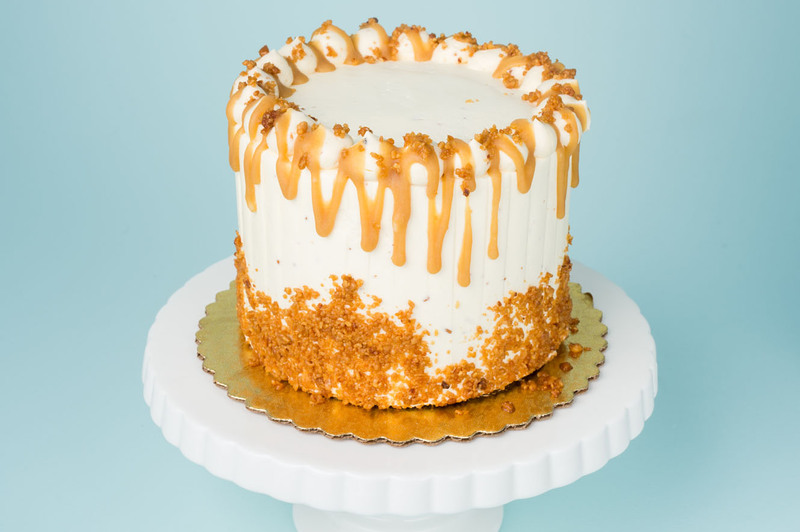 Vanilla cake layered with macadamia and almond buttercream and homemade caramel sauce, crunchy praline and a touch of Red Hawaiian sea salt. 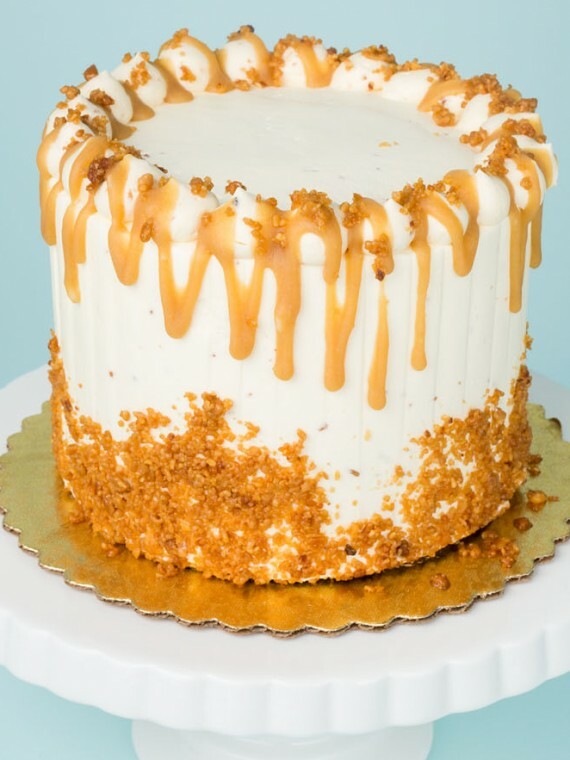 Covered in the same buttercream icing and trimmed with the praline crunch and drizzled with caramel. 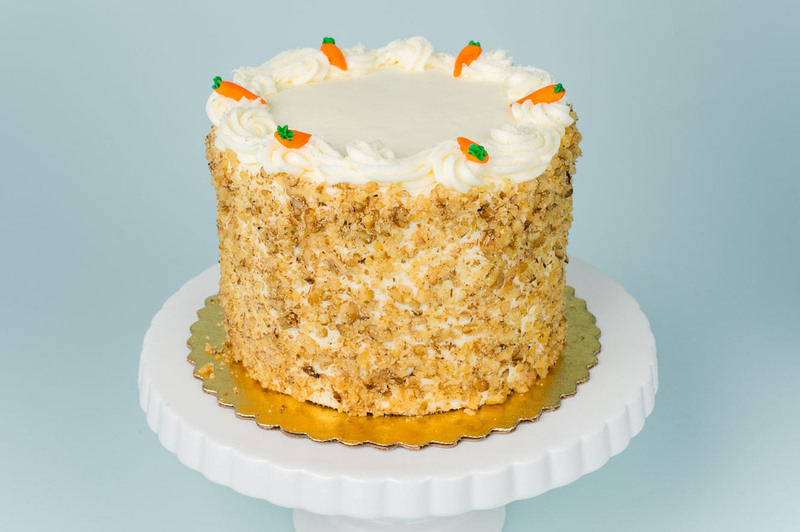 Carrot cake made with carrots, pineapple and just the right amount of spice. 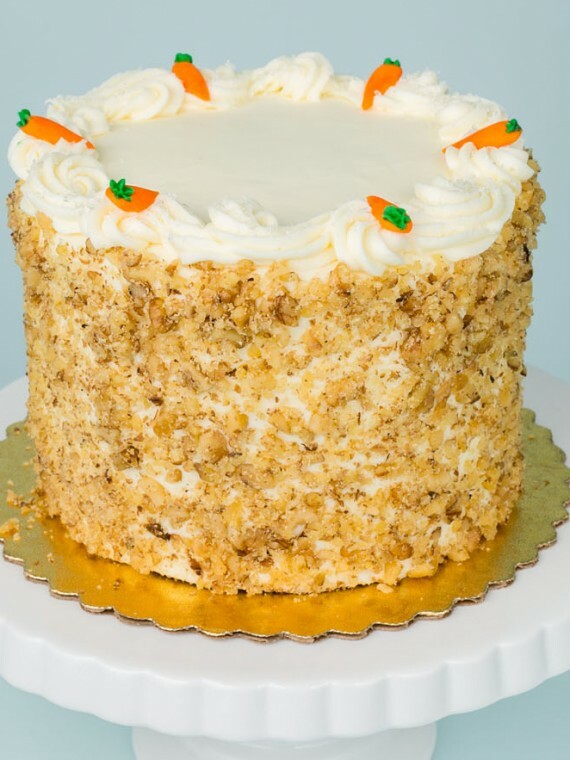 Cream cheese icing is between the layers and the exterior is covered in crushed walnuts with a candy carrot trim on top.